With even more glossy production than Settle, Caracal is high-quality Top 40 material. 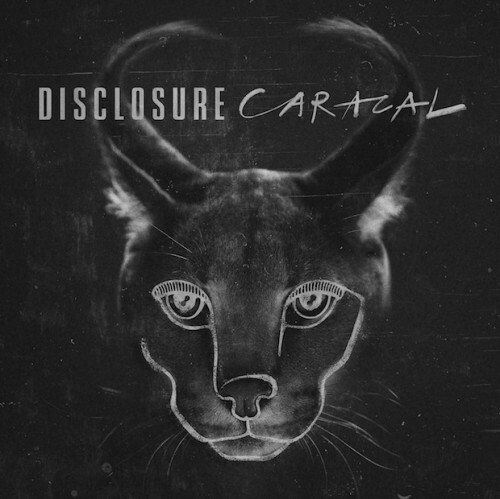 ‘Caracal’ is about Disclosure maturing, moving on and showing the listener how to rave respectably. This is dance music for grown-ups. Although the tracks rarely surprise, frequently falling back on familiar sounds and structures ... they're as well-built as those of the debut. What Disclosure have done really well here is kept with the style that has rightly made them huge, honing their songwriting skills further in conjunction with a group of very well chosen collaborators. Though Caracal tackles relatively new opposition, some serious on-record wins make it a fun, vibrant outing. The Howard brothers remain peerless as producers, and, if anything, their sophomore album’s overtures to pop-friendliness breaks even more walls for them going forward. As much as they respect the deep-house gods, Caracal sees Disclosure wrestling to resist and thankfully losing. The follow up to Disclosure's 2013 debut, Settle ... flexes a fantastically upscaled vocal roster befitting the duo's arena-level success. Its seductive, late night R&B slant keeps Disclosure safely locked into the pop sphere while simultaneously diminishing their once-solid indie cred and slightly distancing themselves from their more electronic-attuned fanbase. Disclosure has found the perfect center of the Venn diagram of house music and mainstream pop. As they’ve edged away from giddy neo-nostalgia toward a sound with less identifiable anchor points, they’ve begun to blend into the background. Caracal is the kind of effort that diehard fans might convince themselves to appreciate, and then never play again. There's a desire constantly present on Caracal to increase Disclosure's range as a musical act, but as an event, Caracal is underwhelming. In their bid to become suave and seductive, they sacrifice the energy and rapturous pop hooks of their debut: apart from the heady live favourite Bang That, there are no surprises, no risks. By chasing the notion of being separate from an everyday crowd, the duo end up in lost territory, submerged in style and an A-list cast to the point where they forget how to pen pop songs. At its best, Caracal is incredible, but between its lengthy runtime and the sheer number of guests here, it lacks the cohesive balance that Disclosure managed to achieve on Settle. There is no stepping outside of the box on Caracal that, for all its individual brilliance, is ultimately monochrome. Caracal is consistently good but also feels manicured and safe. Taking a few more chances and resisting the urge to polish everything so much could have made for a much more exciting record. Caracal has the effect of a magician performing a trick twice in a row, rendering once clandestine, miraculous movements suddenly obvious, over-rehearsed and unnatural. 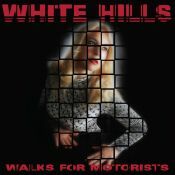 It lacks the heft, swagger and, crucially, the buoyant personality that defined its predecessor, and in its place are not previously unexplored sonic seductions but just watered-down iterations that bend awkwardly to their guests’ aesthetics. Even an all-star cast can't save 'Caracal' from its restrained atmosphere and overly polished production. The album marks the end of Disclosure as a band, and the beginning of Disclosure as a hit-dispensing enterprise that manufactures durable, no-stain, easy-to-clean products to please every audience. Not quite reaching the hights of Settle, its predecessor, Caracal is a more pop-ish album, featuring more well-known vocalists such as Lorde and The Weeknd. The production isn’t bad at all, but it somewhat lacks a bit of what made Settle so special in the first place. Coming in from their debut album, I think that they have went more towards a pop sound than some of their other tracks they made in Settle. There were plenty of tracks that I personally enjoyed but there we're a few that i wasn't too much of a fan of Molecules and Afterthought. Purchasing Caracal from Amazon helps support Album of the Year. Or consider a donation?